Putting fireplaces & TVs together has become the norm. 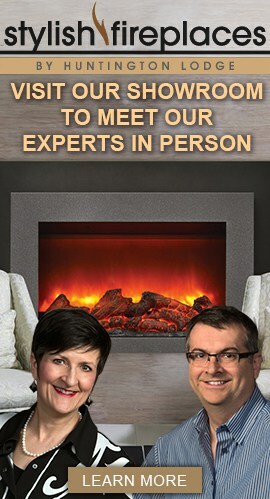 We hear about it all the time in our fireplace showroom. In fact, it’s so common that the most popular fireplaces are those that are most like TV’s in size and shape. Having the TV above or near the fireplace has its challenges, so we’ve put together the most common pitfalls, and how to avoid them. Fireplaces & TVs — the WRONG way: The TV is just too big and too high. Clearance around the gas fireplace, and a large mantel beam force the TV to be placed uncomfortably high. As TV prices come down, larger TVs become available for the same price as the smaller TVs that we already own. As a result, 60″ is the new 50″, and 70″ is the new 60″. If your wall is large enough for that big TV, then’s it’s also big enough for a fireplace of the same or slightly greater width. TV’s are taller than the most popular linear fireplaces, so they already give the impression of being top-heavy on the wall. If your TV is being mounted directly above the fireplace, make sure your fireplace is a little wider than your TV. Your TV is too high! The mantel above a traditional wood-burning or gas fireplace is typically 48″ or more off the floor. If you put a TV above that mantel, it will be too high for comfortable viewing in the average-size room. If you are keeping your wood or gas fireplace, then you may want to consider placing the TV off to one side, and not above the mantel. If you convert your wood or gas fireplace to electric, you can lower the mantel (because there’s nothing burning inside an electric fireplace). Even better, you could convert to a linear electric fireplace, which doesn’t require a mantel. The bottom of your TV should be no more than 42″ off the floor in an average room. If you follow our first tip, your TV and fireplace will be balanced. If you place your TV offset with the fireplace, then balance is much more difficult. Relative size of the 2 pieces is still relevant, but you can get away with a smaller fireplace by emphasizing the lower part of the wall in some way. If your fireplaces & TVs are offset, think of them like opposite sides on a teeter-totter: a smaller fireplace will need some help from the surrounding materials to balance out the visual weight of a larger TV. Nothing ruins the look of a lovely fireplace faster than a mass of cables dangling from the TV above. Think about the peripherals ahead of time. 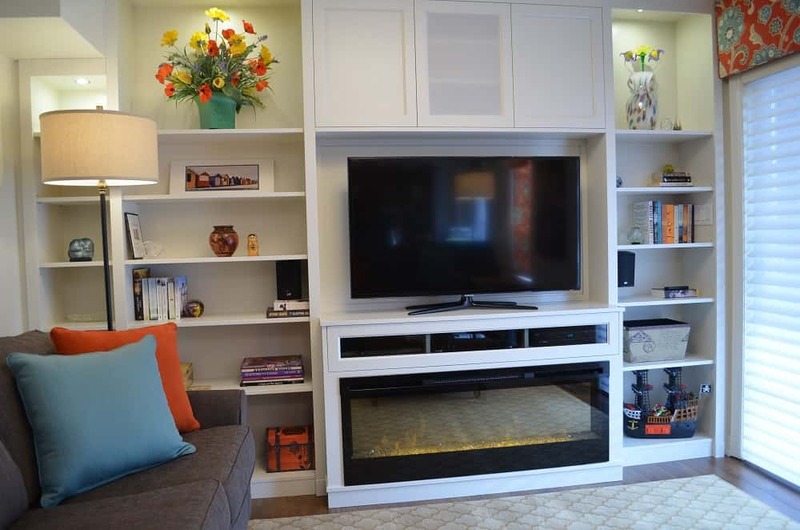 Build a niche in the wall, add cabinetry to the side of the fireplace, or create a custom fireplace cabinet that has space for the equipment that attaches to your TV, while hiding the cables. 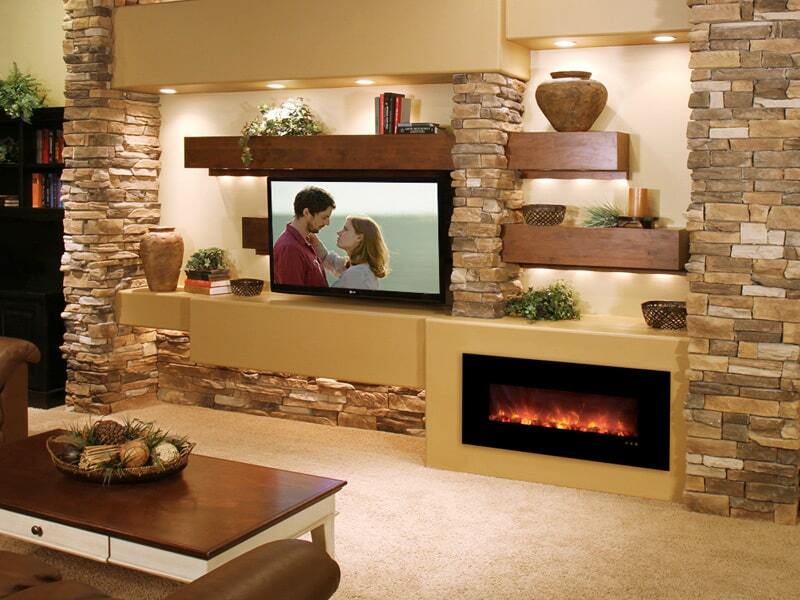 Make sure the fireplace wall is created with both fireplaces & TVs in mind. 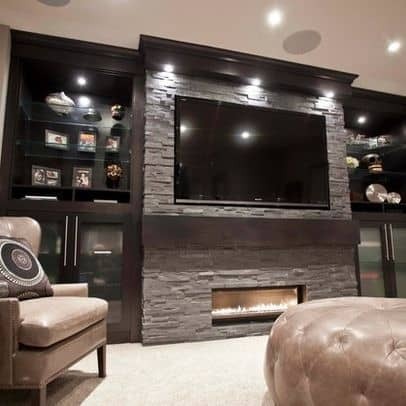 Stylish Fireplaces & Interiors specializes in selling and installing electric fireplaces in their Toronto-area showroom. 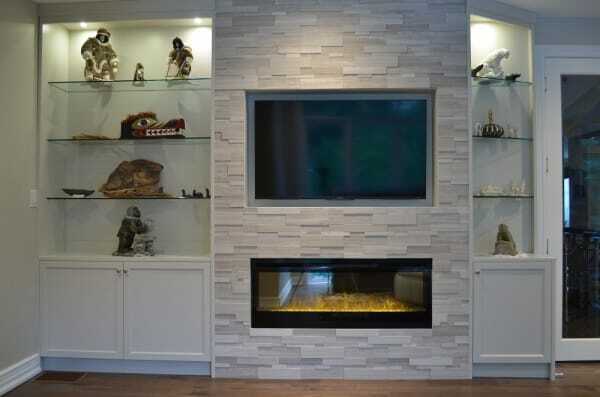 They use their design background and extensive renovation experience to create custom fireplace walls — with big TV’s! — for clients throughout the GTA. This entry was posted in Design, Electric Fireplaces, Electric vs. Gas Fireplaces, Fireplace Design and tagged electric fireplaces, fireplace design, fireplaces & tvs, home decor, interior design, interiors, principles of design. Can electric fireplaces be repaired?